American talk-show host Jimmy Kimmel and team recently arranged a skit where they asked random US pedestrians to name any country on a map of the world and as Kimmel himself notes, it did not go well, South Africa in particular getting wrongly identified twice. Part of the local wine business’s problem in terms of gaining international market share and then improving average price per bottle is surely the brand image of the country itself, something which probably does not get discussed enough. The first question that has to be asked who’s driving our country strategy when it comes to wine and what is that strategy? The fact that the ratio of bulk to packaged wine remains roughly 60:40 means that the world does not value our wine offering – too much SA wine is being treated as a commodity or at best a FMCG rather than something of interest to high-level wine enthusiasts and collectors. The wine industry can’t do much about how the national government conducts itself or even the fortunes of the Springboks, Proteas or Bafana Bafana which all influence how South Africa is perceived, but it can be deliberate about what the promotional focus is when it comes to selling wine and this has to be our highest quality, site-specific wines. We increasingly have a top-end sector that is utterly dedicated to the quest for perfection but is this being effectively communicated to the world? A very insightful read on Meininger’s Wine Business International recently entitled “A fine wine strategy that works: Austria” tells the tale of how this country has managed to get out of the entry level segment and climb into fine wine territory in roughly the last 20 years. Key to this was being uncompromising about the fact that fine wine is a complex subject that true enthusiasts are ready and willing to engage with – wine not simply as beverage but rather wine as product of provenance and heritage. Brands are important but origin is, too – the secret to Austria’s success being that it’s made origin the brand, not just the country but also its sub-regions with an appellation system being created (the Districtus Austriae Controllatus or DAC) as well as a wine hierarchy. There was a loss of market share in key export destinations but this was seen as a more-than-acceptable trade-off as the value of exports climbed sharply. The observation can be made that the Austrian wine industry suffered near-total destruction in the diethylene glycol scandal of the early 80s and had to completely reinvent itself. In a somewhat similar vein, the potential of the South African wine industry went largely unrealised until political transformation in the 1990s but our top-end winemakers are now considered to be doing some of the most exciting things on the planet by those in the know. 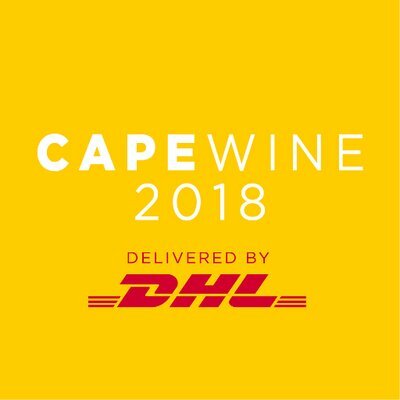 Our next challenge is to make sure that enough of the right sort of consumers get to hear about this and the timing of Cape Wine, the international trade show organized by non-profit generic marketing body WOSA set to take place in Cape Town during September, is apt. We need to put SA wine properly on the map. Previous articleMichael Fridjhon: What future for the New Wave?